Every one wants a thin TV , so tvs getting thinner . Can it be bodyless , just a paper sticker yet perform very well . Not the LG guys gone insane 4K in just 2.5MM . Whooah . makes me think it can be as sensitive as a flex glass . But the TV is ready , shown in CES 2017 . Its It’s a two-part system: the main display up top, and a Dolby Atmos soundbar below it. 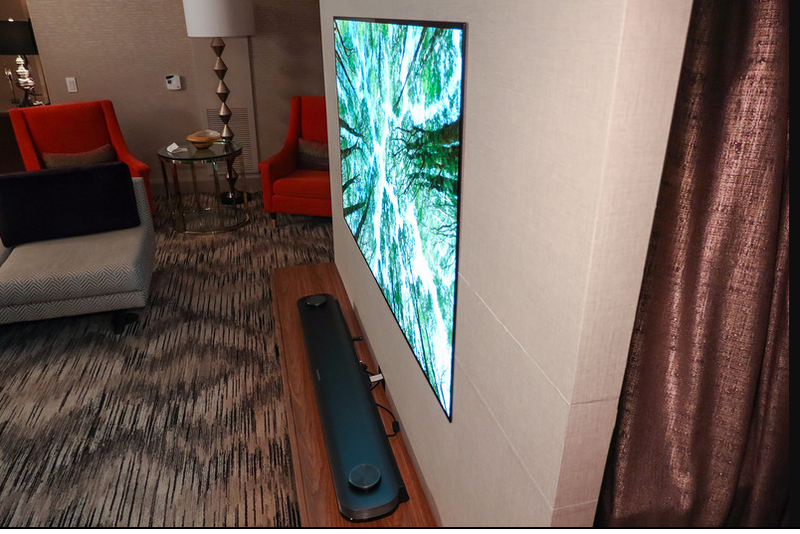 That soundbar also houses the TV’s primary power horse circuits , HDMI inputs, and so on. and we have just a thin cable to tv . How to mount that TV ? 3)Launch date launch is done in US and UK . India it will arrive by mid 2018. After the huge GST rate how much will be price we cant guess . the future unwraps on your hand ! why not reduce powercuts this way!